Marketing is about communication. 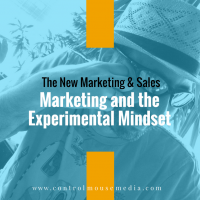 It involves a lot of creativity, which is what I love about it – and the fact that if you’re a good writer, you have half the skills you need to be good at content marketing. Listen to Episode 104 here or subscribe in iTunes. The concept of “vanity metrics” comes from Eric Ries in his amazing book, The Lean Startup (Amazon affiliate link), urging you to look at the things that actually move the needle on your business goals. Facebook: Love it or hate it, you probably need it for your business. I have some clients who rock it, and others for whom it’s a wasteland. Let me help you determine if it’s right for you or not. 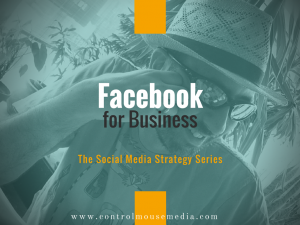 I devoted a whole episode on the considerations for Facebook Business Pages. Next week I want to get into your social strategy. My working title for next week’s episode is “Social Media Can’t Exist in a Vacuum,” and the sentiment is that social media isn’t worth anything if it’s not a part of a complete content strategy. Subscribe here (and select podcast / every new post) if you want me to let you know when it’s published. Published August 14, 2017 by Michael Boezi.